Pioneering work led by Highways England to transform journeys on the country’s busiest routes with innovative technology allowing vehicles and the roads to “talk” to each other has been showcased to an international audience. A high-tech “corridor” is being created on the A2/M2 in Kent to let specially-equipped vehicles interact with roadside infrastructure in a move which promises safer, more reliable journeys and speedier maintenance, to reduce delays. Highways England, the Department for Transport, Kent County Council and Transport for London are at the forefront of this pioneering activity and have staged a “TestFest” showcasing to an international audience progress to date. The week-long event has attracted more than 60 people from the automobile world to allow them to understand the technology and see how it could be used in the construction of future vehicle designs. Jo White, head of intelligent transport systems group, Highways England, said: “Connecting vehicles to each other and the road around can improve journeys, make them safer and give drivers reliable, real-time personalised information; it could also help us manage traffic and respond to incidents. “We’re supporting the Government’s aim to be world leading in the development of connected and autonomous vehicles. The project on sections of the A2 and M2 is testing how information about road conditions, roadworks and time left for traffic lights to change to green can be transmitted to test vehicles via a wireless network. Providing drivers and fleet managers with the information and tools to make real-time decisions has the potential to quickly improve traffic flow along the corridor. It also has the potential to improve safety by providing more information about traffic conditions ahead. 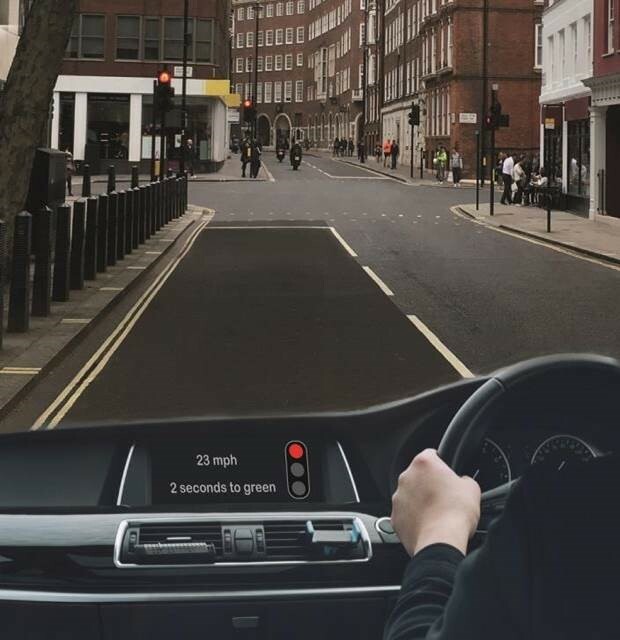 Displaying the information on screens inside vehicles reduces the likelihood of drivers missing information displayed on roadside signs, ending the problem of obscured signs caused by vegetation or when passing other vehicles. For example, a sign may appear for a lane closure in place because of an accident or debris ahead. Keeping the lane clear gives the emergency services the access they need to help. Providing this information in a vehicle will help reduce drivers accidently driving in a closed lane, improving safety for everyone. Roads Minister Jesse Norman said: “Between 2015 and 2020, the Government is planning to invest over £20 billion on improving and extending the UK’s road network, helping businesses, individuals and families alike. Mike Whiting, cabinet member for highways, Kent County Council, said: “We welcome this investment and look forward to finding out the results from this pilot scheme. TfL’s director of network management, Glynn Barton, said: “These first live tests of connecting vehicles to our road systems and infrastructure have been an exciting opportunity for us to explore the possibilities for the future. “It’s only through these events that we can understand the opportunities, risks and challenges that we face in operating transport networks in the coming years. The A2/M2 Connected Corridor is a joint project between the Department for Transport, Highways England, Transport for London and Kent County Council. It is part of InterCor, an EU project that aims to test services that work across borders, connecting the UK to the Netherlands, France and Belgium. The project started in 2016 and is due to be completed in 2019. The old part of the two lane M2 is one of the oldest motorways in the country and hence at weekends it is mostly gridlocked and 50mph is maximum speed during the week at rush hours. Instead of chucking money at tech companies, it would be better spent on widening the road!